At the recent University Open Day the Dental School produced a number of bite-sized videos for prospective students to view and find out a little more about various areas of the School. Delivery of these videos was through Aurasma, an augmented reality style app. Students were able to use their mobile devices to scan selected images which would then automatically play a video associated with that image on their device. There are currently 18 videos available, the majority of which were filmed by Beeston Media. Aurasma is available for both Android and Apple devices via a free download from the relevant app store. If you already use Aurasma then the channel you need to follow is bristol_dental_school. All of the “auras” can be found there. The videos have also been made available on the Dental School website and YouTube channel. Topics covered include Community Based Dental Teaching, Oral Surgery, Implantology, as well as the views of the Head of School, Head of Teaching and the School Manager. It is hoped that further videos will be created for future Open Days. 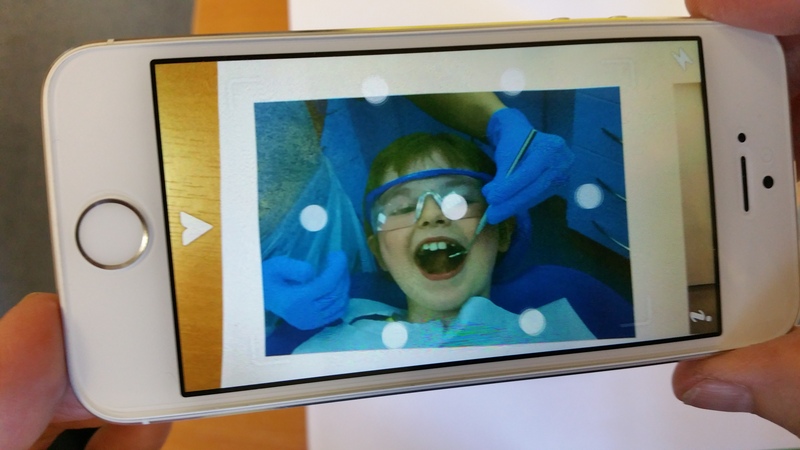 The possibility of expanding the use of Aurasma further into the BDS undergraduate curriculum is also being investigated, specifically within the Dental Skills unit.